In Weather (My First Fact File), children can learn about the extraordinary strength of hurricanes and tornados, why rain and snow falls, how people and animals can withstand extreme climates, how droughts happen and the impact of climate change. Weather is all around us. It affects everything we do, from the way we travel and the houses we live in, to the food we eat and the clothes we choose to wear. 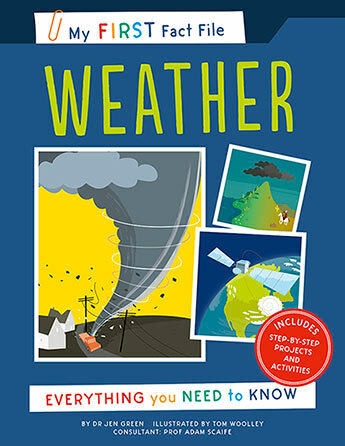 Weather (My First Fact File) is a first introduction to the fascinating subject of weather for children aged 5 and up. Learn about how the seasons impact on weather around the world. Find out what causes different kinds of weather to happen, from tornadoes and hurricanes to rain and snow. Discover how extreme weather, such as droughts and floods, affect our world, and what we can do to combat climate change. 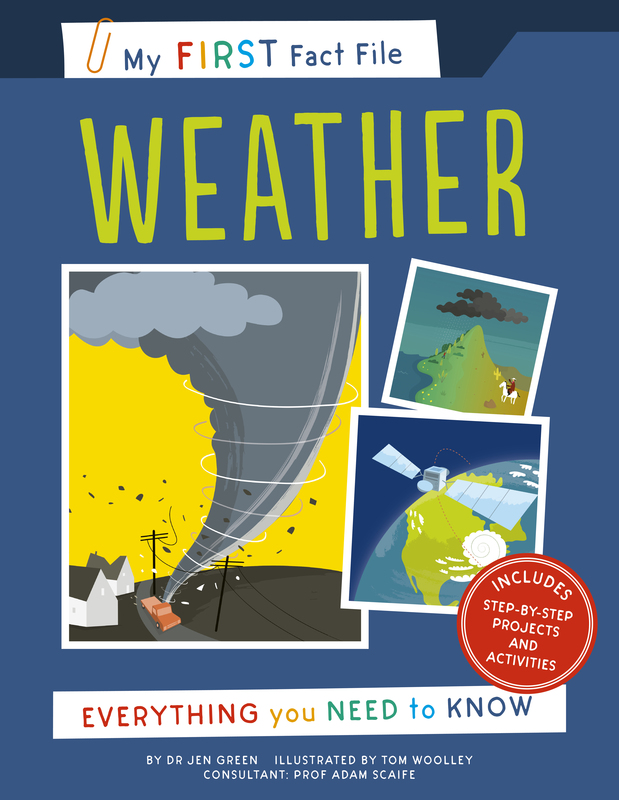 Packed with missions, projects and activities, readers will learn everything they need to know about the amazing world of weather.